Ms. Mary M. Charge was interred at Stohlman Cemetery in 1912 after a life of 82 years. Like many Americans, Ms. Charge was an immigrant. Born in Germany, she traveled to America and settled, with family, in Sutter County. A land far from her ancestors. 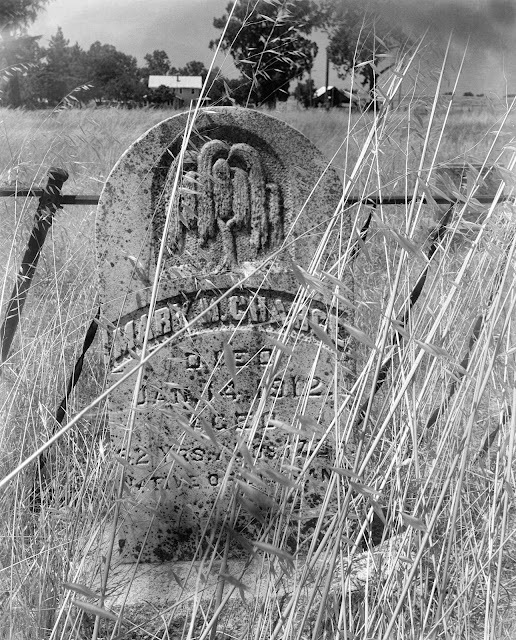 The Stohlman Cemetery was founded in 1859 in Sutter County, California. There are 28 souls laid to rest in this small cemetery. The majority of its inhabitants were folks from somewhere else who decided that the rich soil of California was a good place to build a life. It looks as though few people visit or care for this graveyard these days, but I was happy to stop and visit as I was driving through the area. I find that cemeteries can possess an incredible sense of history for a given place.